Actually wrote to her twice, but i don't remember if this is from the first or second attempt. One was in September, and another i think was around Feb. Sent LOR, money for postage and 2 photos to the Elementary venue address. Received back one photo signed and personalised. Dont know why she kept the other one, but at least she sent me the better one back. I also got a reply from her, same venue Elementary. 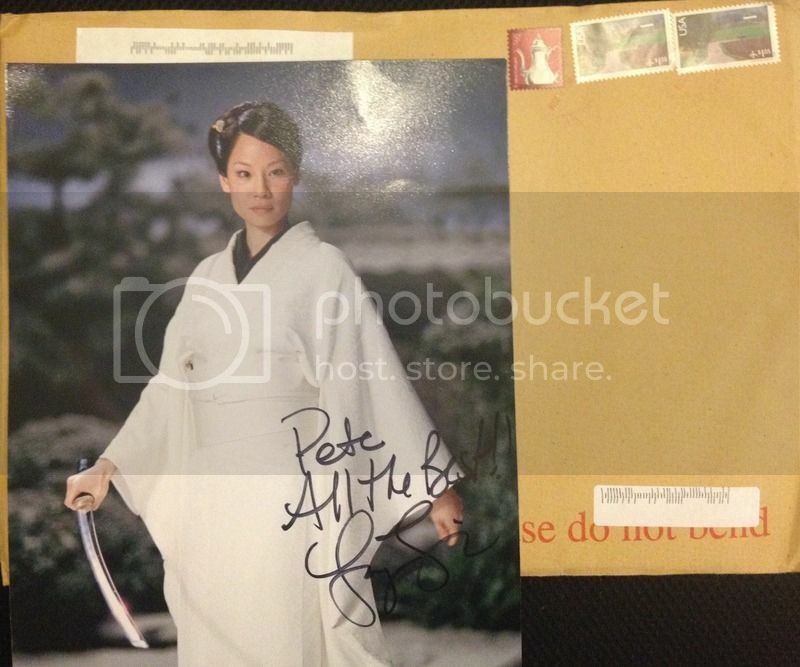 Also sent 2 pics, received only 1 signed. And also from the 2nd attempt. It seems she might sign 1/person. Very happy with it anyway!